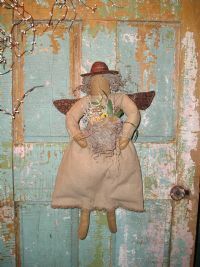 This grungy muslin angel would be a wonderful addition for your home or as a gift. She is very simple yet primitive. 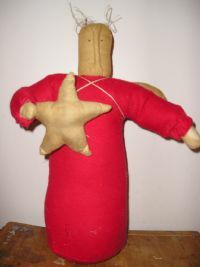 Stands 16"
This angel is so simple with her star in her arm. 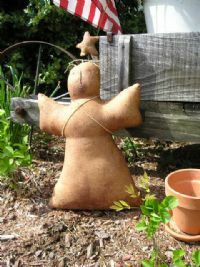 A must have for those angel lovers. 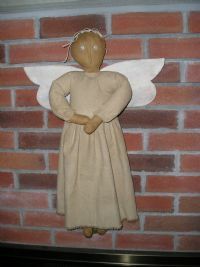 love this angel, she has a gathered osnaburg dress, and antique wood wings. 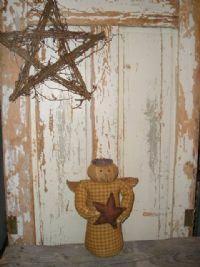 approx 24"
Perfectly primitive angel with her grungy cinnamon star. stand will measure 14"